BBCSarah Wollaston MP spoke to the BBC on Wednesday. Conservative MP Sarah Wollaston has dealt a major blow to the official campaign for Britain to leave the European Union by quitting and supporting Remain instead. 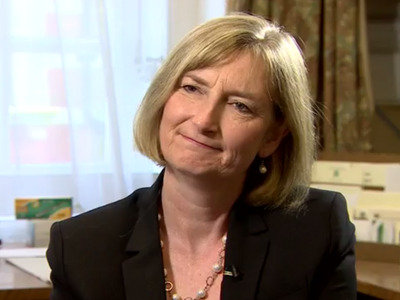 Dr. Wollaston, chairman of the health select committee, told the BBC that she did not feel “comfortable” supporting a campaign that was making claims that are not true. Specifically, Dr. Wollaston was referring to Vote Leave’s claim that Britain would save £350 million a week by quitting the 28-nation bloc. This argument has featured prominently in Vote Leave’s campaigning. Sir Andrew Dilnot, the chair of the UK Statistics Authority, has urged Vote Leave to stop making this claim as he believes it is deeply misleading. 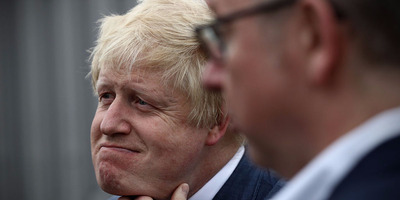 Dr. Wollaston, who is a GP as well as MP for Totnes, said: “For someone like me who has long campaigned for open and honest data in public life I could not have set foot on a battle bus that has at the heart of its campaign a figure that I know to be untrue. “If you’re in a position where you can’t hand out a Vote Leave leaflet, you can’t be campaigning for that organisation.” Vote Leave argues that Britain hands over £350 million a week to Brussels as part of its EU membership. Dilnot has said on numerous occasions that this sum is deceiving as it doesn’t take into account the funds Britain receives from the EU in return and that actually the amount is around £136 million. Dr. Wollaston also rejected Vote Leave’s claims that a Brexit would boost financial support for the NHS. She told the BBC: “The consensus now is there would be a huge economic shock if we voted to leave. Wollaston’s dramatic U-turn comes with just two weeks to go until Britons will decide on whether the country should remain part of the European Union. Recent polls have indicated that Leave is steadily making up ground on Remain ahead of the June 23 vote. However, this episode risks damaging the Leave campaign’s credibility. The truthfulness of the Leave campaign was already being heavily scrutinised prior to Dr. Wollaston’s remarks. Brexit-advocate Nigel Farage was accused of “blatant scaremongering” and neglecting facts when he faced a live audience in ITV’s referendum show on Tuesday.